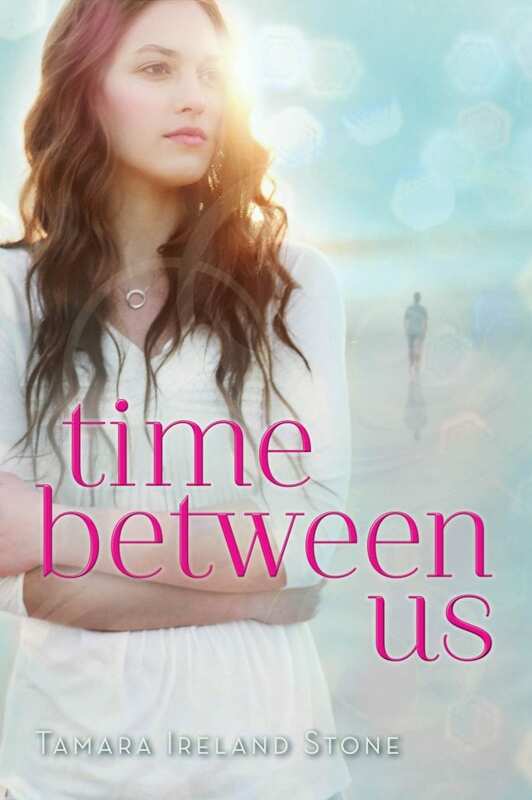 Huge thanks to The Story Siren for unveiling the TIME BETWEEN US cover! Check it out here. I could go on and on about how it feels to spend years in a solitary world with your fictional characters, enjoying their company immensely, and wishing someone else—just one other person—really knew them like you did. I could spend pages and pages telling you how mind-blowing it is when you find that person in your editor, and suddenly these characters are no longer rattling around in your own head, but the topic of many, many discussions. And as the two of you work together to bring them to life on the page, they’re becoming more real than they ever were before she came along. I could then tell you how incredible it is when the aforementioned editor calls to tell you they’ve found “the perfect Anna” for the cover—strong, capable-looking and naturally beautiful—and you trust her completely because you know she knows. Of all people, Lisa Yoskowitz knows. And you’re honored and tickled when she asks you to help shop for clothes for the photo shoot. I could try to describe seeing the cover for the first time. How it feels when you can’t quite catch your breath because a character who once a figment of your own imagination just came to life before your eyes. And she is the perfect Anna. And her entire story has been magically captured in a single image. I could do all those things… but I shouldn’t, right? Because that age-old piece of writing advice, “show don’t tell”, is probably popping into your head right about now. And I don’t know about you, but I’m getting a bit antsy. Forgive me. I tend to be long-winded when I’m bursting out of my skin. Let’s just show it, shall we? The cool thing is that my editor isn’t the only person on the Hyperion team who completely gets these characters and this story. The brilliant and talented cover designer, Whitney Manger, is clearly another. And I love absolutely everything about the beautiful cover Whitney designed. I love how Anna is holding her arms. I love the look on her face. She looks contemplative, but you can see tenacity there too. So Anna. I love that beautiful space between the two of them. I love how Bennett is walking toward her—no, wait, is he walking away from her? Toward her? Holy cow, that’s cool. I love Anna’s Möbius strip pendant, a subtle wink to the original title. My editor surprised me with it because she is that wonderful. Okay, I’ll stop talking now. Because it’s your turn, and I’m just dying to hear what you think! And because I have to go plaster this image on anything that will stand still so I can have swag and give lovely things away. WOW!!! You should be very happy with this, Tamara! Good reason to celebrate! Gorgeous cover! Congrats! Love the tone of it. You should see the smile on my face right now! Didn’t the Hyperion team do an incredible job, you guys? I should probably stop staring at it and get to work, but I… just… can’t! Thanks again for sharing your thoughts! I’m so glad you like it too. And… wait until you see the INSIDE. The interior pages are gorgeous too. Should I show them off next week? It’s absolutely beautiful!! :) Can’t wait to read it! Love the cover Tammy! I can’t wait for everyone to start reading your book . It is sooo hard to put down. I wrote to Oprah. I sure hope she reads it. I told her it was spellbinding. I can’t wait for your next one. Just wanted to stop by the blog and re-say how much I love the cover. The sun beams, the distance between them — close but still farway. The agnst of her body language. Congrats! This is so exciting. Oh my god, Tam! I am so incredibly proud of you! The cover is fantastic. I love that I can see her the way you see her now. I can’t wait to dive into the book again! It’s a GORGEOUS cover, Tamara! Congratulations!! Thank you so much for the kind words, everyone! I’m so delighted to hear that you like it! PERFECT cover for a BEAUTIFUL story! So very happy for you! So exciting! I’m so happy for you and can’t wait to read it!!!! Love the cover. Perfect. I noticed the pendant right away and knew the meaning for you. Also LOVE seeing your name there. Can;t wait for you Dad to see it! Oh, I lovelovelove this! It might be one of my favorite covers I’ve seen so far this year. I love all the details put in it and just spent five minutes trying to figure whether he was walking towards her or away from her (my first assumption was away!). It makes me so excited to read this! Oh, Tamara, it’s LOVELY! You must be thrilled! Can’t wait to read it — and I love the necklace-detail! I love the cover. I’ve had this book on my Goodreads TBR for a while. Looking forward to hearing more about it. LOVE LOVE LOVE LOVE LOVE it!!! 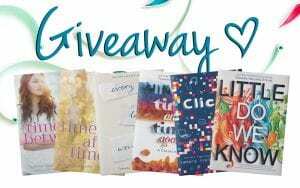 I know I mentioned this in my cover reveal but I can’t help it! It’s SOO pretty! !